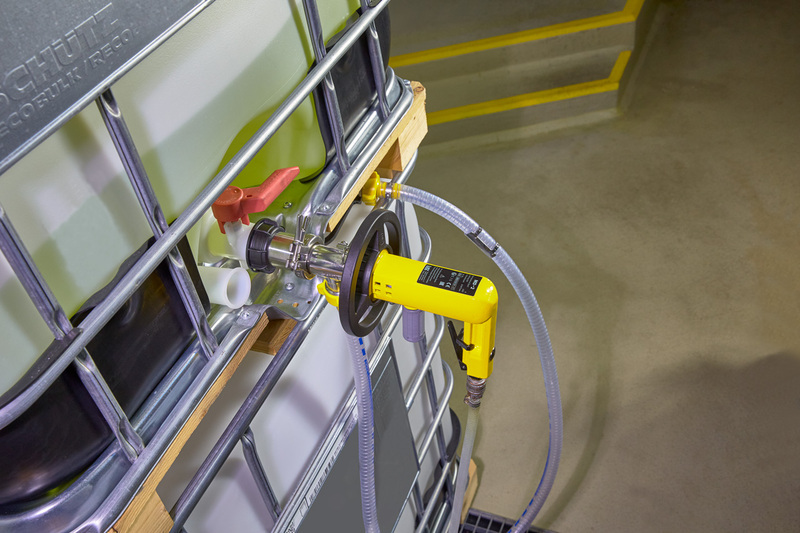 In cases where only confined space conditions around the IBC`s are available, particularly when they are stored above each other in shelves, the use of the very compact and light container pump Lutz B200 is of great advantage. 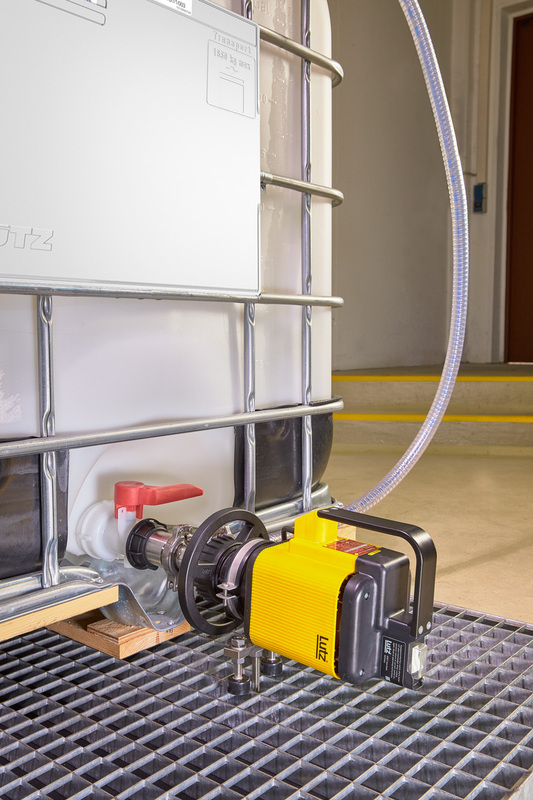 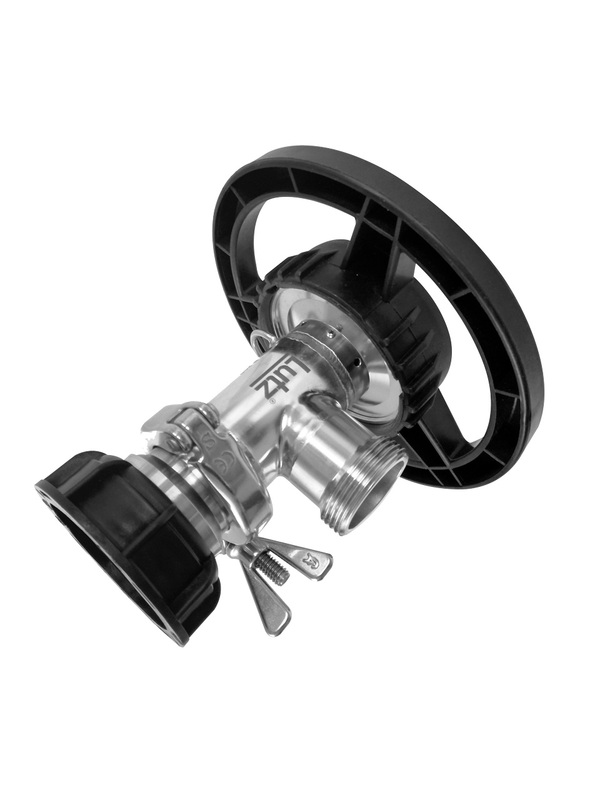 The horizontal container pump Lutz B200 is directly connected to the bottom outlet valve of the IBC`s. 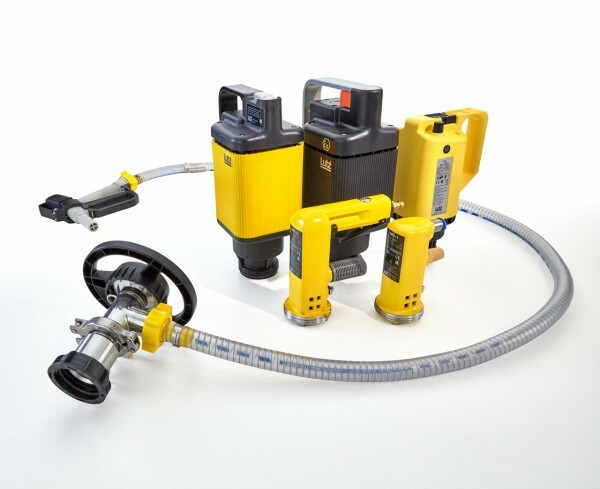 Combined with a hose set and nozzle, also small batches can be specifically decanted or filled.